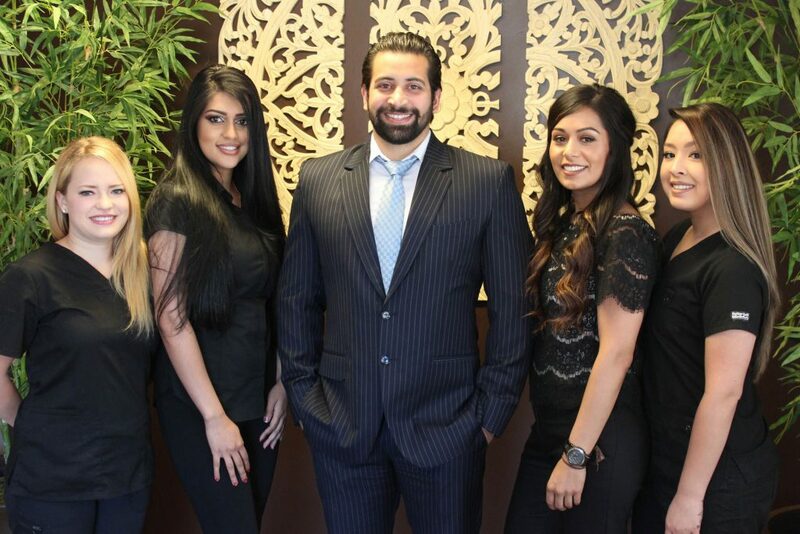 The Yuba City Dentistry Group wants to provide nothing but the best for our patients. Therefore, our dentists offer state-of-the-art technologies whenever possible. These new techniques allow us to detect dental concerns at early stages, treat your dental problems with precise and efficient care, and provide beautiful, customized restorations to replace and repair missing or damaged teeth. When you visit the Yuba City Dentistry Group, be confident that you are receiving high quality dental care. Digital X-Rays: Besides improving the image and adding a number of different diagnostic tools unavailable with the classic print x-ray, digital x-rays are easier on the patient. Taking the x-ray requires the use of small sensors that are much more comfortable than the film trays used in the past. Also, the amount of radiation involved with digital x-rays is much less than with analog. A full set of digital oral x-rays requires about the same radiation you receive from four ordinary days spent in the sun. Intra-Oral Cameras: These tiny devices provide a close-up, real-world view of your teeth with much more detail than your dentist can see by eye alone. The pictures we receive from intra-oral cameras help us recognize surface problems that are otherwise difficult to detect, even with x-rays. Plus, by displaying the images on screen next to your dental chair, you get to see for yourself the condition of your teeth and participate in the decision-making regarding your own dental care. Soft-tissue Laser: Dental lasers are successfully used primarily for oral surgery procedures on the gums. Laser treatment benefits the patient by simultaneously destroying harmful, infectious organisms while working on the tissue your dentist is removing. Lasers are highly precise and self-cauterizing, which eliminates the need for painful cuts and sutures. Post-operative pain and bleeding is minimal or completely absent and nearly every patient who receives laser treatment in the dental chair recommends it to friends and family afterwards. Ultrasonic Scaler: The ultrasonic scaler vibrates at very high frequencies to break down bacterial membranes like plaque and tartar. For dental cleanings, patients prefer the ultrasonic scaler over hand scalers because an ultrasonic tool requires less effort and time to get the job done. You spend less time in the dental chair and our Yuba City dentists and hygienists provide a better result in the preservation of your smile! For more information about these and other technologies used by the Yuba City Dentistry Group, feel free to talk to our dentists by visiting our office at 1052 Live Oak Boulevard, by calling at 530-671-4784, or by using our website. We look forward to serving you and your family with the latest technologies that dental science offers for the benefit of our patients.